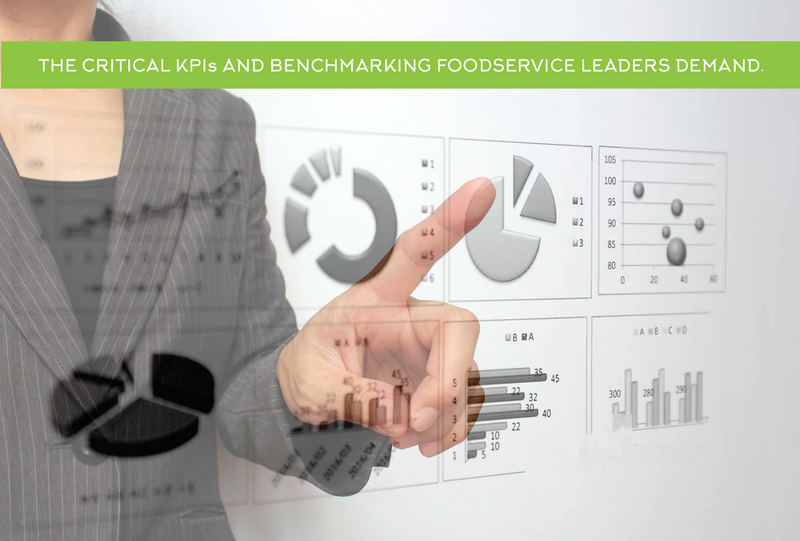 The critical KPIs and benchmarking fooservice leaders demand. We support School Business Managers in making decisions for the school nutrition program that are in line with federal, state and local procurement regulations and policies. This includes review of any Food Service Management Company contracts and meal vendor contracts to evaluate compliance with USDA statutes. We also perform vendor audits, so you can rest easy knowing your vendors are using allowable business practices. Is your Food Service Management Company (FSMC) everything your district hoped it would be? Is it the cost-effective solution your district needs? Have you done the required contract compliance review to determine the answers to these questions? If you answered “no” to any of these questions, we can help. 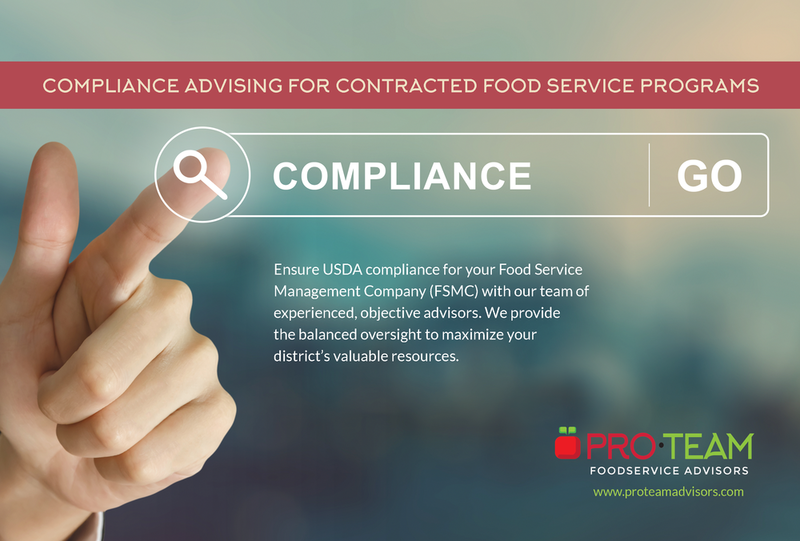 Pro•Team Foodservice Advisors provides a cost-effective review service to address performance and compliance challenges in an outsourced environment. We have a proven track record of increasing value and compliance in food service management contracts for School Food Authorities. Our FSMC contract review process compares the original Request for Proposal (RFP) / Request for Bid (RFB) for FSMC with the executed contract. We also measure the contract against ongoing operations to determine if the agreed upon standards are met and compliant, including USDA standards, fiscal goals and participation benchmarks. We ask the following questions. Do meals meet USDA menu requirements? How do you know? Does the district use the full allocation of commodity entitlement dollars? How do meal participation rates compare to other districts across your state? Are staff trainings offered to meet the new Professional Standards? Are record-keeping requirements being met for a successful Administrative Review? Is the contractor fully compliant and doing all tasks that are required by USDA regulation? We provide a thorough review to ensure you are getting the value you deserve and the compliance you need from your Food Service Management Company. Pro•Team’s experienced advisors take the time to assess every aspect of the school nutrition program’s day to day fiscal efficiencies. By reviewing the current financial standing of your program, we are better able to create strategies for revenue development and expense management that are specific to your needs. Throughout the whole process, we work collaboratively with you to understand your budgetary goals, and in turn develop an annualized budget system packed with customized, comprehensive solutions.